BRIDGEVILLE, Del. – Police are trying to figure out who shot at a car and house in Bridgeville, early Saturday morning. Investigators say they responded to the area of Mill Park Drive and Coverdale Road, at 1:52 AM, for reports of shots being fired. However, they did not find anything suspicious when they got there. Troopers tried to contact the people at a home in the 21000 block of Mill Park Drive, but did not have success. Several hours later, a 28-year-old male and a 27-year-old female responded to Troop 5 to report that their house was shot at. Investigators went to their home on Mill Park Drive and discovered that the house, along with a vehicle, had been hit by bullets. Luckily, no injuries were reported in connection to the incident. This case continues to remain under investigation by Troop 4, Major Crimes Unit. Anyone with information regarding this incident is asked to contact Detective K. Archer at 302-752-3791. 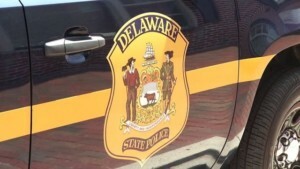 Information may also be provided by calling Delaware Crime Stoppers at 1-800-TIP-3333 or here online.